Data Sheet July 12, 2018 -- But not yet on the price list as of Oct 2018, so not orderable. This member of the Nexus 3K family is based on the Tofino switch ASIC. 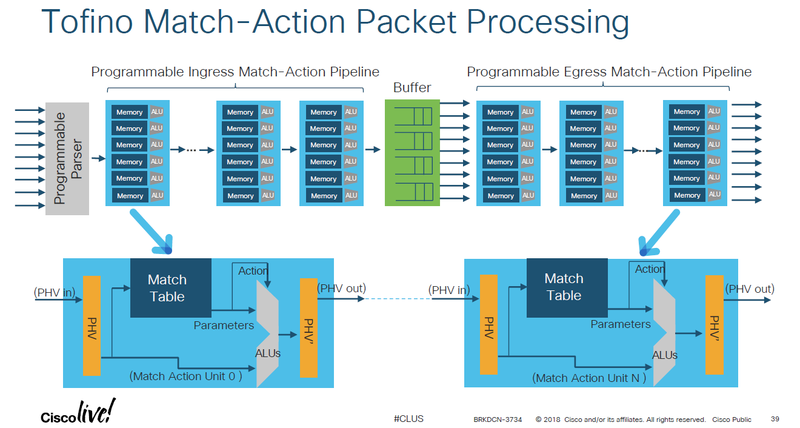 Big claim to fame is a regular architecture of match-action stages that is friendly to programability of the switch using the P4 control language. 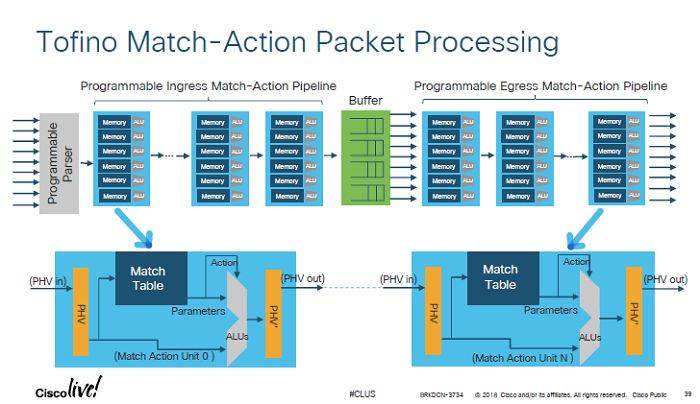 A slide deck from a June 2018 talk at CiscoLive! in Orlando explains the role of merchant silicon in the Nexus product line and has lots more detail on Tofino.